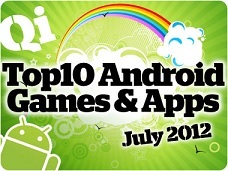 We’re happy to announce that our very own Garfield’s Diner is one of top 10 critically acclaimed Android games of July 2012 according to Android Qualityindex. The Quality Index (or Qi, for short) trawls the web for game and app reviews from the world’s most respected online and print sources, including 148Apps, Pocket Gamer, GameSpot, and Android Tapp. Qi then collates the critiques, applies a magic formula, and delivers a single definitive Qi score for each Android game and app. In order to provide a regular marker of the critical zeitgeist, Qi rounds up the Top 10 Android games and Top 10 Android apps released each month. You can read the full article here. Thank you everyone for your support!